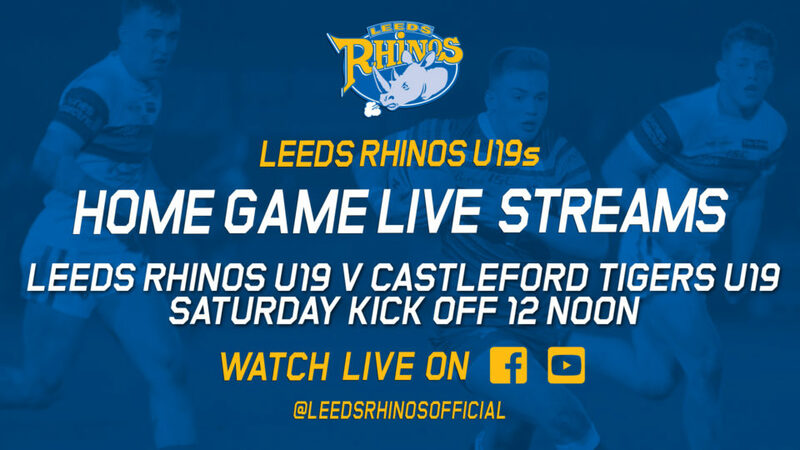 Make sure you log on this Saturday lunchtime to see the Rhinos Under 19s take on their counterparts from Castleford Tigers live from Stanningley, kick off 12 noon. As with all home Under 19 and Womens Super League games this season, we will be live streaming the match with commentary from Dan Hawkhead and a member of the Academy squad alongside him. You can watch the game on our Facebook page at www.faceboook.com/leedsrhinosofficial or by visiting our official YouTube channel. You can subscribe to our YouTube channel for FREE and receive notifications when the game goes live by clicking here.